Proof of the Ashley Madison Scam? In the past we have reported about the website Ashley Madison that seems to use deceitful tactics to scam members into paying for conversations with fake members. Other than stories from users there was no real evidence of this, until now. 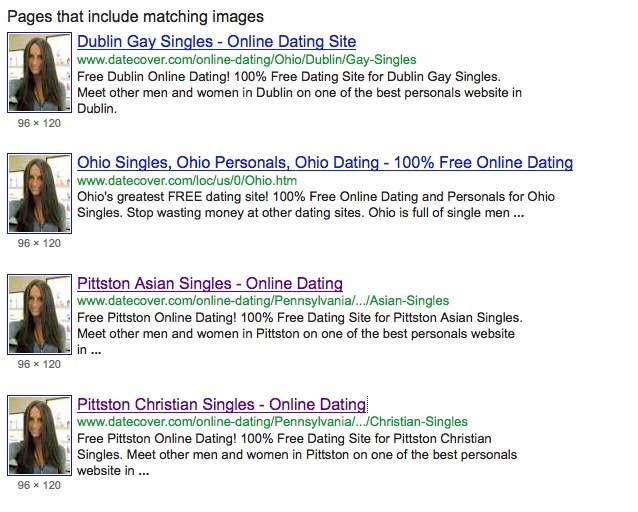 A user forwarded the following screenshots to us of an Ashley Madison user named “Amanda Benson”. Her profile sounded familiar to many of the other suspected Ashley Madison scams he had seen before and so her took her picture and ran it through an image search. 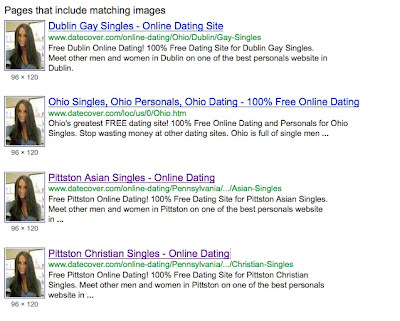 As you can see from the results her photo is all over suspicious dating websites including a gay website. He sent us a few other examples of possible fake profiles which had the same photo on the same websites listed in different states. It is possible one scammer is doing all of this on exactly the same website. The person reporting this suggested that it is much more likely that a program creates random profiles to boost member numbers and sales of upgraded memberships. Even if it is not Ashley Madison creating these fake profiles to decieve its members you would hope that since they have some of the highest membership costs they would do a better job of filtering out the fakes. I always thought Ashley Madison was a scam. Thanks for giving me proof!